Confirmation candidates gathering for the Rite of Acceptance this weekend in the diocese of Brentwood will hear an address from the author of ‘Tweeting with God’, an interactive tool to help young people with questions on faith. On Sunday, 640 young people preparing for Confirmation will hear Fr Michel Remery talk their language at a session exploring his book and app. 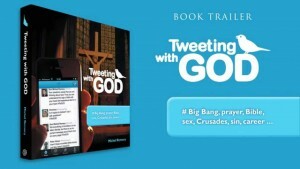 ‘Tweeting with God’ provides tweets to 200 daring questions from young people about God, faith and morality. Episcopal Vicar for Formation in Brentwood, Fr Dominic Howarth, has organised the cathedral session because he feels that ‘Tweeting with God’ “is an easily accessible, navigable and contemporary tool to help young people with questions they have about their faith”. The Diocese is to provide every Confirmation teacher with a copy of the book, while the app is free to download on iphone/android. “The real beauty of the whole idea is that it provides very succinct questions and answers plus expandable resources for those who want more information,” Fr Howarth said. After the session with Fr Michel, the young people will stay on in the Cathedral to meet Bishop Alan Williams for the Rite of Acceptance at 3pm. Over 1,200 young people will be confirmed in Brentwood this year, about half in their own parishes during visitations by Bishop Williams. Those who do not have visits scheduled to their parishes will be able to meet the Bishop at the Rite of Acceptance and then will be confirmed at Pentecost by their parish priests. 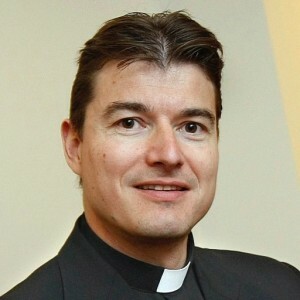 Rev Dr Michel Remery MSc (Voorburg, 1973) is a priest of the diocese of Rotterdam in the Netherlands. He studied architecture at Delft University of Technology, and worked for the Royal Netherlands Air Force and as an expat in the Baltic States for the consulting and engineering firm Tebodin. Following his theological studies in Rome, he completed a doctoral dissertation at the Pontifical Gregorian University on the relationship between liturgy and architecture. For a number of years, Fr Remery served as an assistant priest at several parishes in Leiden, the Netherlands, where he worked mainly with young people and university students. He joined them on pilgrimages to Surinam, Italy, the Holy Land, Poland, Turkey, and to many World Youth Days. The #TwGOD project has its origin in the questions that young people addressed to Fr Michel in meetings about the faith held during his time in Leiden. The meetings helped them to recognise the importance of the faith in their personal lives. They urged their priest to publish the results which became a single volume entitled ‘Tweeting with GOD’. The young people then suggested making the project interactive, playing a major role in this phase as well. The project quickly attracted major international interest, which led to translations of the books into many languages. Fr Michel currently serves as the Vice Secretary General of the Council of European Bishops’ Conferences (CCEE). Among other positions, he is the secretary of the CCEE Committee on Social Communications. The CCEE secretariat is located in St Gallen, Switzerland.